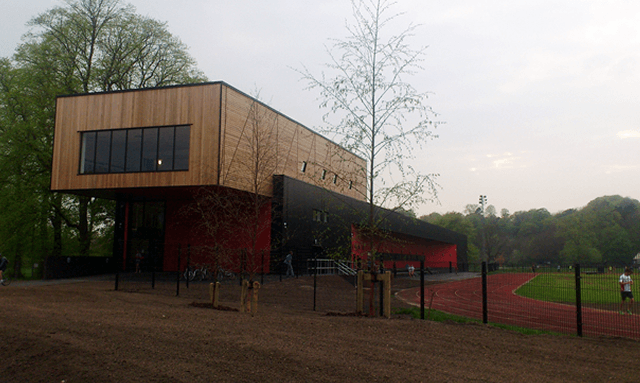 A new £2.3m community athletics facility at Witton Park, Blackburn, has opened. The fantastic Witton Park Arena includes an indoor 60m warm up/training track (6 lane), new changing facilities, a covered outdoor spectator terracing and a club room. It will be used by Blackburn Harriers Athletics Club as a training facility year round, coaching 100s of aspiring young athletes. The new arena also has a 45 station Fitness Suite with views across the park, changing rooms and a fitness studio for spinning and exercise classes. There will be new Primal, Insanity and Boot-camp style outdoor fitness sessions as part of over 29 classes per week. Witton Park Arena will also be expanding the offer to younger people with regular Junior Gym sessions during the week. Residents will be able to use the facility as part of the Council’s Join One Join All Regency membership. As well as Witton Park arena, they will be able to use any of the borough’s six leisure centres and four Building Schools for the Future Community-Use schools. The opening times will be 6.30am – 9.00pm Monday to Friday and 9am – 4pm Saturday & Sunday. There is also lots of parking for easy access! The new arena has been constructed by Eric Wright who are based in Preston.